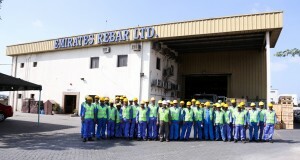 Emirates Rebar Limited is a part of Terrazzo group, which started operations in 1975 in the United Arab Emirates, commencing operations in trading with building materials in the construction industry, under the name of “Trade House Ltd”. Over the years, Trade House established itself as a reputable and premier supplier of building materials ranging from cement, specialty paints and plywood to structural and reinforcement steel. Within a period of two years, the group ventured into manufacturing of building materials (starting with cement mosaic tiles) in 1977. Over the years, the firm has diversified into marble and granite, pre-cast concrete, glass reinforced plastic, glass reinforced concrete, roto-moulded plastic, pre-fabricated housing, concrete blocks and pavers, and cutting and bending of steel. The manufacturing of the varied building materials are carried out in 10 state- of- the- art manufacturing units, spread across Sharjah Industrial Area, Al Quoz Industrial Area, Dubai Investment Park, Dubai Industrial City and Jebel Ali Free zone . At Terrazzo, we have been involved in supplying to almost all of the major prestigious projects in the UAE, including Dubai and Abu Dhabi International airports, Palm Jumeirah, BurjKhalifa, Mall of Emirates, Saadiyat Island, Yas Island, etc. Besides UAE, the group also supplies various products to cater to the construction industry in GCC countries, East African countries and the Indian sub – continent. In an ever growing urban landscape with a growing need to provide precision and premier quality products to the construction industry, Emirates Rebar’s cut and bent services is a prefabrication solution aimed at helping customers raise productivity standards. We are a ‘UK CARES’ (UK Certification Authority for Reinforcing Steels) accredited Cut & Bend Factory. Established in 1997, we operate from within Jebel Ali Free Zone, Dubai (UAE). Within this short period, we have become synonymous with Cut and Bent Steel supplies to difficult, demanding and time bound prestigious projects. Ours is one of the oldest, largest and most modern plants for the fabrication of Cut & Bent steel in the UAE. In line with being an active part of the sustainability of the Middle East region, we are one of the first C&B units in the Gulf who were approved under the stringent “Estidama” (Sustainability) norms developed by UPC (The Abu Dhabi Urban Planning Council). Like the strength of steel, the backbone of our people’s expertise and performance ensures high precision work from our factories. We have a team of highly proficient and qualified Engineers, Detailers and Draughts men who provide the requisite technical services for converting Architectural Design Drawings to Shop Drawings and Bar Bending Schedules. These schedules are necessary for converting the reinforcement steel into Cut & Bent steel or Pile Cages etc. Our back end staff and technical workers ensure that each and every project is delivered with precision and within time schedules. In our strategic growth plans, we emphasize on investing in the continued development of our people through regular technical, industrial and safety trainings. We work closely with our customers to deliver solutions that are customized to the project blue print, redefining timelines, inventory and manpower management, and material wastage reduction. When Dubai was in the grip of the fever of ‘Fast Track Projects’, we not only continued to maintain our quality above international standards but also impeccably maintained the delivery schedules to our various projects. 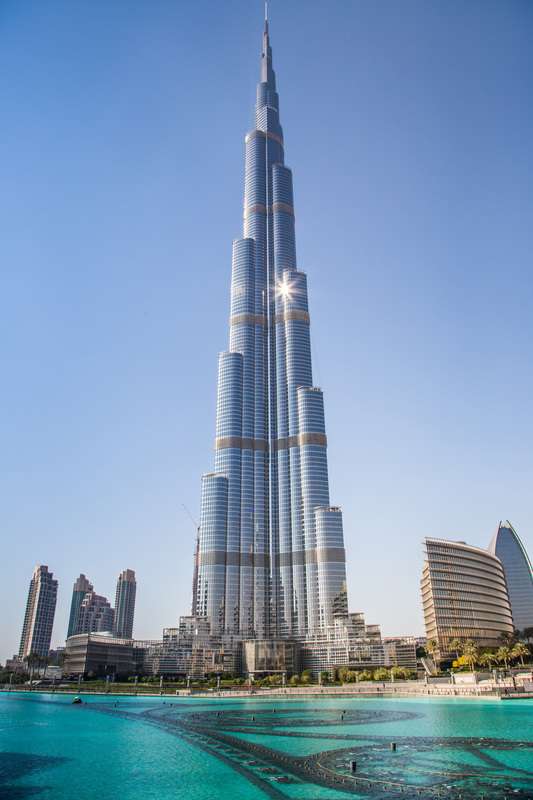 In fact, the Burj Khalifa (or rather Burj Dubai, as it was known then) was an extremely fast track project and we had, on occasions, supplied them in the range of about 500 tons of steel, cut and bent to their specifications, a day.